The client lies fully clothed on a couch and is usually covered with a blanket. The therapist then scans over the body of the client, feeling for hot/cold spots. This scanning is conducted above the body and the healer will very rarely touch the client. The healer will place their hands on the client’s shoulders in order to connect with their energy and they will most likely also place their hands upon the soles of the client’s feet in order to ground the client. If the healer detects areas of the body that require physical contact they will do so, but will have ascertained that this is ok with the client first – don’t forget, the client is underneath a blanket. Healing sessions usually last between 30 minutes to an hour. There will have been a detailed consultation with the client before any treatment takes place, where the client can detail any health issues etc. Generally, the healer will advise that the client receives a course of treatments over a few weeks although on occasion, these may be on consecutive days. 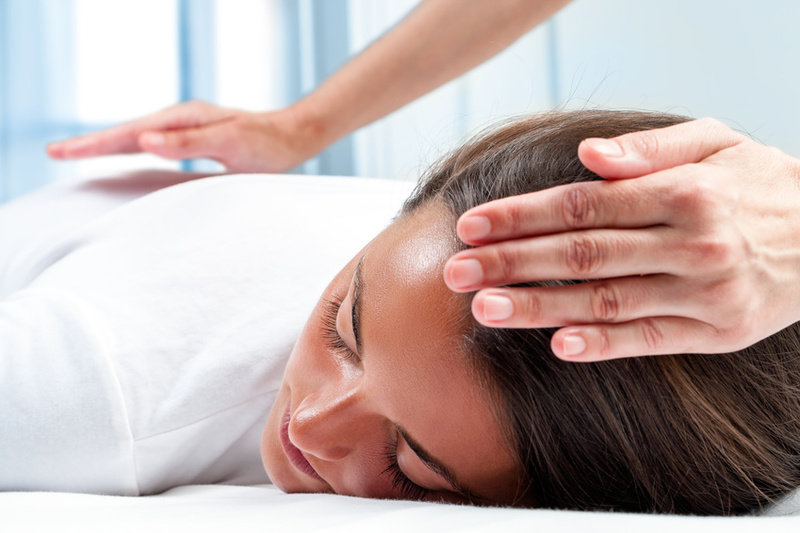 Often clients will come for a Reiki session once a week or once a month for an energy top up – even if the original illness is no longer present. Reiki is not just for people feeling under the weather, it is a great way to top up your energy and keep your chakras whizzing round correctly! Prices: Hour: £48, 45 minutes: £38, 30 mins: £28. Reiki 1 is the first step in your Reiki training journey. You will receive attunements that enable you to start channeling healing reiki energy for yourself and others in a non-professional capacity. This training is suitable for complete beginners or those who wish to refresh their reiki training from the past. You will have the option to attend reiki share sessions (at a small additional cost per session). The complete cost of the training is £100. A non-refundable deposit of £15 is due on booking and can be paid online. The remainder of the course cost is due by Friday 2nd November and can be paid via bank transfer – details on booking. You will be provided with handouts during the course. Please bring a notebook and pen to make notes as this is an experiential course. You will also need to purchase a copy of ‘Reiki for Life’ by Penelope Quest. This can be sourced from Amazon here. Robina started her reiki training journey in 2005 and became a Usui Tibetan Reiki Master Teacher in 2012. Robina holds a Post Graduate Certificate in Education (PGCE), as well as being a fully qualified sports massage therapist and yoga teacher. She is a Master Teacher member of the UK Reiki Federation. Reiki attunements can be a very profound experience. If you have a medical condition and are not sure if reiki attunements will be appropriate please speak to your medical practitioner in the first instance for their permission.